What is a "Christian Nation," Anyway? Jonathan Rowe of this blog, and historian Gordon Wood in the posts below, illustrate the difficulty of determining what "Christian" means. As the late Dave Allen said about the Irish, they have trouble deciding who God is, but once they do, they're willing to fight for Him. The American Founders, of course, wanted to leave all those messy, bloody sectarian battles back across the pond, and so, eventually fashioned a Constitution that glossed over the details bigtime. Still, if "Christian" is nettlesome enough, what is a nation? A quote from the very wise man who is best known as the former occupant of Hillary Clinton's Senate seat is making the rounds again these days, and for good reason. What is a nation, its government or its society? Most of the disputes, both on this blog and in current affairs, stem from fundamental and philosophical disagreement on the answer to this question. Essential reading over at First Things, the Catholic-oriented journal of religion, politics and culture. FT was founded by Fr. Richard John Neuhaus, who's credited with originating the phrase "naked public square," which he opposes, the separationist vision of a polity devoid of religious expression. 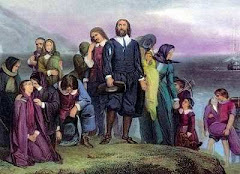 FT's editor, Joseph Bottum, offers a provocative overview of America's Protestant history in The Death of Protestant America: A Political Theory of the Protestant Mainline. Oh, my. Like that Reynolds fellow says, read the whole thing. Barack Obama on "The Christian Nation"
At the risk of plunging into a political debate, I thought the following video would be quite appropriate for our blog. Considering some of the recent debates over the "Christian Nation" argument I am sure that this will be a very provocative video. In the video, Barack Obama discusses why he believes America is not a Christian nation. In addition, Obama points out that to call America a Christian Nation is foolish because who's Christianity should we embrace? BTW, the video is from 2007 and has been used by Christian conservatives to demonstrate the fact that Obama is an evil man...or something like that. When it comes to the history surrounding America's founding -- and particularly when it relates to religion -- most of us automatically think of the various events that took place in Boston, Philadelphia, etc. Rarely if ever do we consider the colonial history that took place in the west. After all, what was to become the United States was nothing more than 13 colonies. Why should we consider history of the west? The land that eventually became the western part of the United States has as rich of a religious history as does the east. When we consider the various Native American tribes, each with their unique forms of worshipping the divine, the religious heritage of the west becomes virtually immeasurable. Sadly, much of this rich Native American religious culture has been lost due to disease, war, etc. When the Spanish arrived in Mexico and eventually made their way north into the southwestern part of the United States, a large portion of this Native American religious culture was replaced with the passionate and obligatory doctrine of Catholicism. Most natives were compelled to convert to Christ's "holy church" in order to preserve their lives and the lives of their families. Welcoming sign at the front of the church. A View of the church from across the street. This picture was taken from the very back of the church and gives the best perspective on the church's overall size. The tapestry in the center was done by the Tlaxcalan Indians in the early 1600s. The church decided to leave it as it was hanging on the wall. This is the original mural that was restored in the 1980s. It sits behind the altar. Some additional art done by the Tlaxcalan Indians. Here is a cutout on the floor of the church that shows where the original Indian holy mount was once located. Archaeologists estimate that the holy mount was built in 1300. The Impossibility of a "Christian Nation"
Why Its Important to Debunk the Idea of a "Christian Nation"
Oooops, I should have used scare quotes in the title. "Scare quotes." "Judeo-Christianity." Because "Judeo-Christianity" doesn't exist of course. The term is a neologism, more specifically a retronym, where the old term loses its meaning and needs a qualifier to make any sense. Like "acoustic guitar." Once upon a time, all guitars were acoustic, like before electricity and before Les Paul invented the electric guitar. Note how guitars are now pointed upwards, but in the olden days, they were always horizontal. That's just the least of the differences, but this illustration do for now. Anywayz, way back when, there were yr Jews and there were yr Christians, and never the twain should meet, least of all in a hyphenated word. Might as well call Thomas Jefferson a "Democrat-Republican"! But today, necessity dictates the miscegenation of "Judeo-Christian" in trying to make some sense out of the religious landscape at the founding of this here US of A. Now, intellectual honesty would oblige Jürgen Habermas to deny that Jesus is God or even that the Old Testament [another retronym, eh?] is revelation from God. Or that God even exists. Still, Habermas, a manifestly good man, can't get around that ol' Bible, which had certain unique ideas. "Judeo-Christianity" sums up those ideas, justice, and then on to love [which I read as mercy]. I think the Founders, even the first four presidents, were cool with that. Were they "Christians?" Nah. Were they Jews? Hah! "Judeo-Christians?" Mebbe. While there were a number of signers to the Declaration of Independence that believed in making the Bible the premiere text for American schools, a larger number were against such an idea. After all, the teaching of the Bible in a school setting brought up a number of Church/State issues that have continued to our present day. The foremost advocate against the use of the Bible – as many of you can easily imagine – was none other than the Declaration’s author, Thomas Jefferson. As we all know, Jefferson was a passionate proponent for religious freedom and the separation of church and state. In addition, Jefferson was also a devout supporter of educational reform. Jefferson believed that a secularized education, free from the shackles of religious piety would create a superior learning environment. It was largely due to this conviction that Jefferson established Mr. Jefferson’s University, or the University of Virginia as it is known today. Wallbuilders. “The Aitken Bible.” http://www.wallbuilders.com/LIBissuesArticles.asp?id=46, accessed July 23, 2008. Thomas Jefferson. The Administration of Laws and the Description of Laws? Good and wise men, in all ages, have embraced a very dissimilar theory. They have supposed, that the deity, from the relations, we stand in, to himself and to each other, has constituted an eternal and immutable law, which is, indispensibly, obligatory upon all mankind, prior to any human institution whatever. This is what is called the law of nature, "which, being coeval with mankind, and dictated by God himself, is, of course, superior in obligation to any other. It is binding over all the globe, in all countries, and at all times. No human laws are of any validity, if contrary to this; and such of them as are valid, derive all their authority, mediately, or immediately, from this original." Blackstone. Upon this law, depend the natural rights of mankind, the supreme being gave existence to man, together with the means of preserving and beatifying that existence. He endowed him with rational faculties, by the help of which, to discern and pursue such things, as were consistent with his duty and interest, and invested him with an inviolable right to personal liberty, and personal safety. Hence, in a state of nature, no man had any moral power to deprive another of his life, limbs, property or liberty; nor the least authority to command, or exact obedience from him; except that which arose from the ties of consanguinity. Though Hamilton quotes Blackstone, he does so in the context of arguing the "state of nature" theory, which is Hobbsean/Lockean in origin, and, as Leo Strauss put it, "wholly alien to the Bible." The context of the quotation shows Hamilton clearly arguing for truth discovered by natural reason -- even if divinely mandated -- not the Bible. Finally, note that when Hamilton wrote this, he was not a Christian and didn't become one until the end of his life after he had done his work "founding" the nation. He believed in the same system of theistic rationalism/theological unitarianism, in which Jefferson, Franklin, Adams, and Madison believed. Moreover, here is John Adams on the matter explaining that the laws of nature and nature's God are discovered by reason, not revelation. To him who believes in the Existence and Attributes physical and moral of a God, there can be no obscurity or perplexity in defining the Law of Nature to be his wise benign and all powerful Will, discovered by Reason. -- John Adams to Thomas Boylston Adams, March 19, 1794. Adams Papers (microfilm), reel 377, Library of Congress. Seen in James H. Hutson's, "The Founders on Religion," p. 132. Priestly ought to have done impartial justice to Phylosophy and Phylosophers, Phylosophy which is the result of Reason, is the first, the original Revelation of The Creator to his Creature, Man. When this Revelation is clear and certain, by Intuition or necessary Induction, no subsequent Revelation supported by Prophecies or Miracles can supercede it. Now that natural Religion, or that the Laws of our Nature oblige us to the highest Degrees of Love to God, and in consequence of this Love to our almighty Maker, to pay him all the Homage, Worship and Adoration we are capable of, and to do every thing we know he requires; and that the same Laws oblige us to the Love of Mankind, and in consequence of this Love, as well as of our Love to God, (because he requires these things of us) to do good Offices to, and promote the general Welfare and Happiness of our Fellow-creatures...What Hemphill means by the first Revelation which God made to us by the Light of Nature, is the Knowledge, and our Obligations to the Practice of the Laws of Morality, which are discoverable by the Light of Nature; or by reflecting upon the human Frame, and considering it's natural Propensities, Instincts, and Principles of Action, and the genuine Tendencies of them. That Christianity, [as to it’s most essential and necessary Parts,] is plainly Nothing else, but a second Revelation of God’s Will founded upon the first Revelation, which God made to us by the Light of Nature. Our Adversaries will perhaps alledge some Passages of the sacred Scriptures to prove this their Opinion; What! will they pretend to prove from Scripture a Notion that is absurd in itself, and has no Foundation in Nature? And if there was such a Text of Scripture, for my own Part, I should not in the least hesitate to say, that it could not be genuine, being so evidently contrary to Reason and the Nature of Things. But is it alledg'd, that there are some Passages in Scripture, which do, at least, insinuate the Notion here contradicted? In answer to this, I observe, that these Passages are intricate and obscure. And granting that I could not explain them after a manner more agreeable to the Nature of God and Reason, than the Maintainers of this monstrous System do yet I could not help thinking that they must be understood in a Sense consistent with them, tho' I could not find it out; and I would ingeniously confess I did not understand them, sooner than admit of a Sense contrary to Reason and to the Nature and Perfections of the Almighty God, and which Sense has no other Tendency than to represent the great Father of Mercy, the beneficent Creator and Preserver of universal Nature, as arbitrary, unjust and cruel; which is contrary to a thousand other Declarations of the same holy Scriptures. If the teaching of this Notion, pursued in its natural Consequences, be not teaching of Demonism, I know not what is. James Wilson, whom Bradfield quotes, likewise believed the same. He once stated "the scriptures support, confirm, and corroborate, but do not supersede the operations of reason and the moral sense." Indeed, he believed revelation's task was to support reason, not the other way around: "Reason and conscience can do much; but still they stand in need of support and assistance." And yes, Wilson, like Adams, Franklin, Hamilton, and Jefferson, was not an orthodox Christian but a "theistic rationalist." In sum, when the Founders spoke of higher law which no positive law could contradict, they referred to natural law which was discoverable by reason, and not necessarily revelation. Indeed, only those "reasonable" parts of the Bible were part of such "higher" law which, they believed, formed the organic law of our nation. Thus, the higher law/natural law dynamic of our Founding lends more support to an "Enlightenment" worldview than a "Biblical" one. We have already, albeit briefly, met Jonas Phillips in an earlier post, Jews in the Revolution - Irving Levitas. At the time of the federal Constitutional Convention (May 25, 1787 - September 17, 1787) Phillips lived in Philadelphia. While living there, he was a founding member of the Mikveh Israel Congregation. He was also a Freemason. By profession he was a merchant who had supported a break with Great Britain. Earlier, when the British invaded New York City he left the city and moved to Philadelphia rather than live under British rule. Shortly after his relocation he enlisted and served under Colonel Bradford with the Philadelphia militia. "I, A.B. voluntarily enlisted a soldier, until the first day of January, 1778, unless sooner discharged, in the troops ordered to be raised by the assembly of Pennsylvania, and subjecting myself to such rules and articles, as are or shall be made, or directed, by the said assembly, for regulating and governing the said troops, do solemnly __________ that, in this service, I will truly and faithfully obey the present and any assembly of this colony, and, in their recess, any committee of safety by them appointed for the time being, and, in pursuance of their direction and command, such officers as shall be placed in authority over me; that I will to the utmost of my power, defend the rights and liberties of this province, and of America in general, and will oppose and resist any force or enemies that shall act, or be employed, against them." So help me. It may seem strange, but when Pennsylvania debated the merits of the new federal Constitution the religious test clause was not a problem. The divisive political climate of 1776 had changed abruptly, and later in 1790, after its ratification of the United States Constitution, Pennsylvania like many of her sister states chose to revise its state Constitution. The commonwealth of Pennsylvania relaxed its religious test requirements to a level where the new test oath mandated only a belief in God and a future state of rewards and punishments. That, at least for people like Jonas Phillips, meant they were no longer "objects of' political and social changes, now they were participants in such changes" (Irving Levitas). Forgive me a somewhat frivolous post. 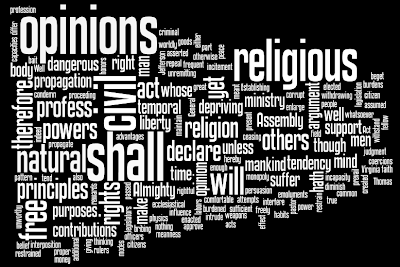 All the cool kids are using Wordle to visualize their blogs' content as "word clouds." I'm excited about subjecting some seventeenth-century sermons to this process. "Though the General attended the churches in which Dr. White officiated, whenever he was in Philadelphia during the Revolutionary war, and afterwards while President of the United States, he never was a communicant in them" (Memoir of Bishop White, p. 188). The fact that Washington didn't commune in Philadelphia under Dr. Abercrombie and Bishop White is not in dispute. However, the minister who gave the fiery sermon terming all of the Presidents thus far elected "unitarians" and "infidels" was not, (or likely not) Bird Wilson but rather James Renwick Willson. I'm a historian currently working on church-state relations in the early republic who stumbled across this blog. The sermon you attribute to Bird Wilson, an Episcopalian, was actually delivered by James Renwick Willson, a Reformed Presbyterian or Covenanter and no relation to the Founding Father James Wilson. I've seen this error in books by a number of authors and have been trying to trace it back to its origins; I've traced it as far back as Paul Boller's book on Washington's religion, but the source he cites is not at my university's library. Willson's sermon was still largely accurate, but it lacks the authority of being by James Wilson's son. I've been emailing him back and forth over the past few days and we have tried to get to the bottom of the matter. John E. Remsburg's book Six Historic Americans seems to be the origin of the error, though Remsburg doesn't technically make the error. If you read Remsburg carefully he treats "The Rev. Dr. Wilson" and "Rev. Bird Wilson, D.D." as two different people, but does not make this clear enough. And he misspells James Renwick Willson's last name with only one l, further adding to the confusion. And to confuse even more, ironically both "Rev. Wilson" and "Rev. Willson" were domiciled in Albany! From there relying on Steiner's work, Paul F. Boller, in George Washington and Religion continues to treat James Renwick Willson's work as thought it were Bird Wilson's. And from Boller, various George Washington scholars on both sides of the culture war debate over just how "Christian" Washington was have attributed to Bird Wilson words which probably came from James Renwick Willson. They include David Holmes, Peter Henriques, Farell Till, Brooke Allen, Michael and Jana Novak, and Peter Lillback. Steiner seems to be our culprit (or at least, the farthest back we can definitively trace this mistake at the present time; perhaps he himself was drawing on someone else). The Rev. Dr. Wilson who wrote a biography of Bishop White was, I assume, Bird Wilson. The Rev. Dr. Wilson [sic; should be Willson] who spoke with Robert Dale Owen was undoubtedly James Renwick Willson; the dialogue between the two men as quoted by Steiner is quoted verbatim from the Free Enquirer of December 3, 1831. The misspelling as "Wilson" occurred in that original article and is the likely source of much later trouble. This mistake is relatively inconsequential in the long run, since we know from other sources that Washington was undoubtedly a non-communicant and probably a Deist (or "theistic rationalist"), but it is remarkable how an error can spread from book to book without ever being caught. It will make me even more vigilant to make sure my own work is free from such errors! Regarding the sermon in the Daily Advertiser, the primary source is not available online (nor in most libraries either!). However, one of Willson's sermons with almost identical sentiments is available here. The sermon in question was titled, PRINCE MESSIAH’S CLAIMS TO DOMINION OVER ALL GOVERNMENTS: AND THE DISREGARD OF HIS AUTHORITY BY THE UNITED STATES, IN THE FEDERAL CONSTITUTION, and as the site says, because of the way in which he criticized the Presidents, he was denounced. And in the footnotes, Willson relays that it was he who had been in correspondence with Washington's minister, Dr. Abercrombie. Never in any form, since the United States became an independent nation, has it acknowledged the authority of the Lord Jesus Christ, nor professed subjection to his law. The convention that ratified and unanimously signed the present Federal Constitution, could not have meant to do so, as is demonstrated by many solid arguments. 1. The question was debated, and a very large majority refused to insert any acknowledgment of God, or of the religion of his Son. 2. Had this not been done, the members were men of too much discernment, to have overlooked, through inattention, a matter of so great magnitude. If they intended to acknowledge Christ, it would have been in such terms, as to admit of no doubt. 3. There were many deists in the convention, such as Benjamin Franklin, Robert Morris, Thomas Mifflin, Governor Morris, and James Madison. 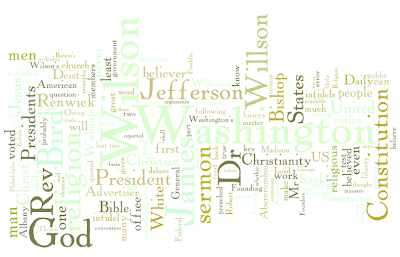 Governor Morris and Thomas Jefferson, affirm that General Washington was also a deist. Yet all these infidels signed the constitution. Would they have done so in the presence of those who knew them to be opposed to revealed religion had the instrument been christian. 4. Could the Presidents of the United States, three of whom, Jefferson, Madison, and Monroe, were certainly infidels, numerous members of congress, Governors of States, and many other officers of the General and State governments, have sworn to the Federal Constitution, had it been understood to recognize the headship of Messiah, whom they held to be an impostor? 5. It has never been the understanding of the nation that the constitution acknowledges the Lord Jesus Christ, or professes subjection to his laws. All infidels have sworn to the support of that instrument, and no one has ever thought of charging them with inconsistency. 6. 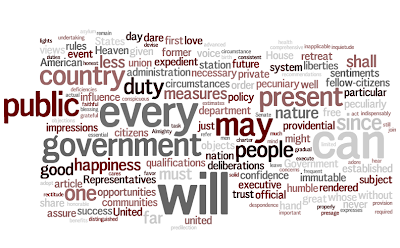 The present President of the United States, in his message to congress, at the opening of the extra session of 1837, says: "The will of a majority of the people is the supreme law, in all things that come within the jurisdiction of the Federal government." In all the opposition to his administration, this sentiment has never been called in question. The politicians of the nation, would generally reject with detestation, the doctrine, that the constitution binds to the acknowledgment of the Bible as the supreme rule of legislation in this commonwealth. 7. All these arguments are sealed, by the following provision. "No religious test shall ever be required as a qualification to any office or public trust under the United States." This prohibits the passage of any law excluding gamblers, whoremongers, slaveholders, profane swearers, sabbath violaters, gross idolators, blasphemers of the divinity of Christ, deists or atheists, from access to the highest honours of the land, for to exclude any of these, would be to require a religious test. A man might be convicted of any and even of all these sins, and yet be eligible to any office. Here is a flat contradiction to the Bible. "He that ruleth over men must be just ruling in the fear of God." 2 Sam. 23:3. If the constitution acknowledged Christ, the christian religion, or Jehovah, in any article directly or indirectly, it would thereby establish a religious test, as no deist or atheist could swear to its support. 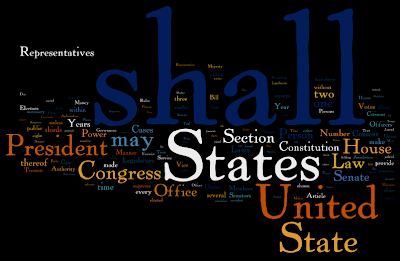 This sweeping clause is found in the conclusion of a section declaring, "that all executive and judicial officers both of the United States and of the several States shall be bound, by oath or affirmation, to support this constitution." It has been plead[ed] that this provision acknowledges the christian religion . But how vainly? Heathens swear oaths. An atheist might come into office by an affirmation. The concluding sentence forbidding all religious tests, shews how anxious the framers were to avoid even a seeming acknowledgment of God or his holy religion. As noted, this is not verbatim of the actual sermon "The Religion of the Presidents" printed in the Albany Daily Advertiser. That is a primary source available in few libraries. Ultimately someone, probably James Kabala, will get his or her hands on it and settle this issue. But the sentiments are so similar, it's almost certain that the Rev. terming the Founders "infidels," that none of the Presidents from Washington Jackson were professors of religion beyond Unitarianism, that the record shows Washington was a Deist and nothing more, and stating that God was voted out of the US Constitution, was Rev. James Renwick Willson, not Bird Wilson. Bird Wilson was "esteemed." James Renwick Willson after delivering this sermon attacking the Presidents and the US Founding was burned in effigy. Bird Wilson's father, James, whose work Bird catalogued in detail, was likely not an orthodox Christian, but rather adhered to the same system of "theistic rationalism" that the key Founders (early Presidents) did. Thus, Bird would be attacking his own father as an "infidel." Not likely. Finally, note that Rev. 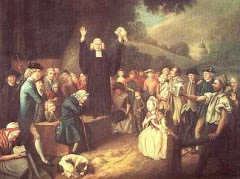 Willson was an early prominent member of the Reformed Presbyterian Church, Covenanted and they were notable dissidents on the US Constitution. They believed its lack of supplication to God, absence of a religious test, and absence of explicit covenant with the Triune God of the Bible made it a document, at the very least, inconsistent with their view of covenant theology and civil government. (At the worst it is an anti-Christian, infidel document). This is the very group to whom Gary North dedicates his ebook. And though North doesn't cite Rev. Willson, many of Willson's same arguments against the US Constitution are fleshed out in detail in North's book. Joyce Appleby's "Inheriting the Revolution"
Historian Joyce Appleby discusses her book, Inheriting the Revolution: The First Generation of Americans. Her book is basically a social history of the first American generations that followed the American Revolution. She mentions how many of the changes of the early 19th century were NOT expected by American, but were unpredictable results of the American Revolution. One of those biggest changes that came, and that Appleby discusses in detail, is that of religion. Barruel’s own parts of the book are perfectly the ravings of a Bedlamite. But he quotes largely from Wishaupt whom he considers as the founder of what he calls the order. As you may not have had an opportunity of forming a judgment of this cry of 'mad dog' which has been raised against his doctrines, I will give you the idea I have formed from only an hour’s reading of Barruel’s quotations from him, which you may be sure are not the most favorable. Wishaupt seems to be an enthusiastic Philanthropist. He is among those (as you know the excellent Price and Priestley also are) who believe in the indefinite perfectibility of man. Indeed, Jefferson saw in such Freemasons folks who preached the same kind of religious principles in which he believed. He even compared "Wishaupt" to his spiritual mentor, Joseph Priestly, and Richard Price, another British unitarian who strongly influenced Jefferson and America's key Whig Founders. Note, they believed "in the indefinite perfectibility of man," which is not consistent with orthodox Christianity because it denies original sin. Neither is Locke's notion of a tabla rasa or "blank state" for human nature (or at least for the human mind). Wishaupt believes that to promote this perfection of the human character was the object of Jesus Christ. That his intention was simply to reinstate natural religion, & by diffusing the light of his morality, to teach us to govern ourselves. His precepts are the love of god & love of our neighbor. And by teaching innocence of conduct, he expected to place men in their natural state of liberty & equality. He says, no one ever laid a surer foundation for liberty than our grand master, Jesus of Nazareth. He believes the Free Masons were originally possessed of the true principles & objects of Christianity, & have still preserved some of them by tradition, but much disfigured. Though I've never read Adam Weishaupt's work, this is exactly what Jefferson, after Joseph Priestly, believed about Jesus and Christianity freed from its "corruptions" (i.e., the tenets of orthodoxy that distinguish it). Jesus was a man, not God, and a great moral teacher who preached "natural religion," -- a sort of universalistic ethical monotheism that man can discover from reason. This last assertion, however, sounds very much like the deistical maxim, frequently indulged by Jefferson, that the "pure" religion of Jesus had been unconscionably corrupted by the apostle Paul and the early church fathers. As Wishaupt lived under the tyranny of a despot & priests, he knew that caution was necessary even in spreading information, & the principles of pure morality. He proposed therefore to lead the Free masons to adopt this object & to make the objects of their institution the diffusion of science & virtue. He proposed to initiate new members into his body by gradations proportioned to his fears of the thunderbolts of tyranny. This has given an air of mystery to his views, was the foundation of his banishment, the subversion of the masonic order, & is the colour for the ravings against him of Robinson, Barruel & Morse, whose real fears are that the craft would be endangered by the spreading of information, reason, & natural morality among men. It's a wonder why Jefferson never joined the Freemasons as he saw them as teaching exactly what he believed in. Ok, now we can conclusively determine what Jefferson's personal religious creed really was. Thomas Jefferson has returned from the grave to give us his view on religion and everything else. That's right. Thomas Jefferson is alive and well! In fact, he has his own radio program. Jefferson can be heard loud and clear every Sunday morning across this great nation (in Co. Springs where I live, Jefferson can be heard on 91.5 KRCC). In fact, the man has been on the radio for quite some time. He has amassed over 700 installments, each packed with the incredible insight that only Thomas Jefferson can provide. The New Enlightenment Radio Network, in conjunction with renowned scholar Clay Jenkinson, have combined to create The Thomas Jefferson Hour, which has become a special treat for history nerds across the country. Jenkinson, who portrays Jefferson on the program, takes questions, phone calls, and answers emails as if he were the REAL Jefferson (which, I must admit he excels at). The Thomas Jefferson Hour® is a weekly radio program dedicated to the search for truth in the tradition of Thomas Jefferson. Our third president, Thomas Jefferson, was a man of the Enlightenment, a student of human nature and gentlemanly behavior, and he applied this to his personal life as well as to both the national and world wide challenges he faced during the forming of our nation. Nationally acclaimed humanities scholar and award winning first person interpreter of Thomas Jefferson, Clay Jenkinson, portrays Jefferson on the program, and he answers listener questions while in the persona of Jefferson--his answers are grounded in the writings and actions of the great man. The Thomas Jefferson Hour® appeals to Public Radio listeners, not just history buffs. While some of our primary stations are in historical areas (Norfolk and Radford, Virginia) or areas that are Jeffersonian (North Dakota, Kansas, Texas), our largest listening audience occurs in postmodern regions such as Fresno, California and Colorado Springs, Colorado. Our appeal truly is our ability to bring out the truth in a non-dramatic, unthreatening manner then to help our audience think through the complexity of the decision making process, bringing clarity to the steps and the events. For all you early American buffs, I encourage you to check out the website, where all of the local affiliates are listed, along with the program's schedule. Even if you are not a history nut, The Thomas Jefferson Hour is an enjoyable program for everyone! To Jenkinson's credit, I think he does an excellent job of explaining Jefferson's religion. A Brief Commentary on the Founders and Religious "Labeling"
For those that regularly follow this blog, I am sure you are more than aware of the fact that the greatest source of debate and controversy we see invariably has to do with the specific religious beliefs of our mainstream founding fathers. What typically happens is that someone will write up a posting that argues for or against a particular religious label – i.e. “Jefferson was a deist,” “Washington was a Christian,” etc. In response, those opposed to the thesis of the post will present a number of quotations, primary sources and other forms of evidence that he/she feels will successfully “debunk” the posting’s claim. The bottom line is this: the religious beliefs of our founding fathers were, much like they are for people today, very complex. Assigning one specific religious label in the hopes that it will somehow reveal all that is needed to know about a particular founder’s religion is silly. For instance, let’s look at the founder that is perhaps the most controversial of them all when it comes to his religious views: George Washington. When it comes to “claiming” the legacy of our founders, both Christian Nationalists and secularists have fought tirelessly in proving that George Washington is one of their own. Naturally, this is due to the man’s Herculean status that seems to trump that of the other founders. Or as Washington biographer, Joseph Ellis put it, Washington was “the palpable reality that clothed the revolutionary rhapsodies in flesh and blood, America’s one and only indispensable character…the American Zeus, Moses and Cincinnatus all rolled into one.”  For both Christian zealots and hard-core secularists, having America’s premiere founder in your corner is a prestigious trophy to say the least. But when it comes down to the “nitty-gritty” of proving that Washington was a Deist, U(u)nitarian, Christian, etc., things are not as clear cut as they may seem, even when die-hard activists like David Barton for the right, or Howard Zinn for the left continue to insist that the religion of our founders is a simple and obvious endeavor. For this particular post, I am not interested in diving into the actual historical records to prove that Washington, Jefferson, Franklin, etc. were Christians, Deists, etc. For those arguments I will simply refer you to the numerous postings that have been done on each founder at this blog and the many other blogs/websites that are dedicated to the same goal. Instead, it is my hope that people will at least consider the possibility that there is MUCH more to the religion of our founders than meets the eye. To the Christian Nationalists, I would ask you to take a step back and ask yourselves why you are so adamant on insisting that our founders were devout men of a Christian God. Do the opinions of secularists, who, for the most part, are trying to be as sincere in their scholarship as you are, really have a secretive agenda to destroy all remnants of Christianity in our nation’s history? To the die-hard secularists, do you really think that embracing a religious heritage could constitute a legitimate threat to our nation’s founding principles? Are Christian conservatives really attempting to rewrite history, or are they simply trying to demonstrate the importance of religion in our nation’s founding? By no means am I trying to be offensive here. For myself, I realize that I too need to take a step back at times so that I can effectively see things as they are. To do otherwise would essentially “label” me as an irresponsible student of history. And in the end, isn’t this what we all want to avoid? In conclusion, when it comes to “labeling” the religion of our founders make sure that you do so with a grain of salt. As Mark Twain once said, “There is no such thing as a simple person. We are all complex beyond our wildest imaginations.” So it is with the religion of our founding fathers. bpabbott’s comment on, Jefferson still wasn’t a Deist, OK? July 17, 2008. American Creation Blog. Jefferson still wasn't a Deist, OK? "America Has a Destiny: The Plymouth Story"
Jefferson wasn't a Deist, OK? Happy Birthday United States! ? What do we mean by "Christian Nation"?